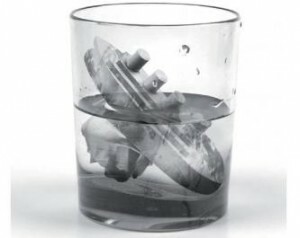 With the 100th anniversary of Titanic’s sinking over, things have quieted down. News wires were jammed with Titanic themed stories, sometimes just repeating what others wrote. There were remembrances galore, Titanic dinners, heartfelt commemorations. And then inevitably come the commentators all trying to write that piece that sums up Titanic. I lit a candle and watched the movie A Night To Remember based on Walter Lord’s book of the same name. Though we have modern treatments like Cameron’s and a recent BBC miniseries, this movie still resonates. I recommend the Criterion collection version which has commentary by Don Lynch and Ken Marschall. They provide lots of interesting details, historical and otherwise, to the movie. The movie does a good job of visualizing Lord’s book but does shift around some things and not always historically accurate (like the opening scene which depicts a ceremony christening Titanic which never happened). Captain Smith comes across as more decisive in the movie but in actuality less so. The movie tends to show the crew working better than in reality in lowering lifeboats. On Titanic most of the crew and officers were unfamiliar with the ship and there were no drills. We see also how frightening it was to step into those boats seeing how far down they had to be lowered. We also see two very different reactions to Titanic’s sinking on California and Carpathia. The depiction of Lord in that movie caused the real Captain Lord to seek a new investigation believing he had been unfairly maligned. Lord came under severe criticism in 1912 for failing to act. Conflicting testimony and Lord’s own statement the ship seemed to steam away gave rise to theories of a third ship, but that has never been proven. What is damning is that neither the officers or him were that interested in that ship to wake-up the wireless operator. Had they done so the SOS would have been heard. Rostron on Carpathia sprung into immediate action once he got the information and immediately set off. It is that standard that Lord, fair or not, is held to. Now had Lord had learned the same information at the same time as Carpathia, the outcome would have been the same. Both would have arrived long after the sinking and most passengers had died. So to blame Lord for Titanic deaths is a stretch and both of those captains heeded the ice warnings and stopped for the night while Captain Smith sped on. There are many stories associated with Titanic and one notable is about Isidor and Ida Straus. When Isidor declined a seat on a lifeboat insisting that women and younger men be saved before him, Ida declined a seat saying “I will not be separated from my husband.” As we have lived so will we die together.” It is one of those stories, told by witnesses afterwords, that had a lingering impact on people who learned of it. Such a remarkable show of love and devotion tends to do that. While most people learn that Isidor Strauss owned Macy’s not much else is reported about his life. Wikipedia has a biographical sketch but does not give you a feel for who he really was. Thankfully an article in Jewish Ideas Daily does. Born in 1845 in Otterberg, Germany, his family immigrated to America in 1854 and settled in Talbotton, Georgia. While his family was Jewish, the family no longer was observant and ate bacon from their own smokehouse. He tried enlisting in the Confederate Army but was too young (16) and spent the war working as a store clerk. After the war the family moved to New York where he and his brother Nathan ran a shop selling family glassware and crockery at Macy’s Department Store. By 1896 both Isidor and Nathan took over ownership after the Macy family decided to sell making Isidor a very wealthy man. Despite having no Jewish education and a secularist, he supported many Jewish institutions and causes even many he did not agree with. He was ardently anti-Zionist and wrote scathingly of its cause. His brother Nathan though was a supporter after a trip to the Holy Land. Ida was more appreciative of Jewish traditions reminding her grown children to remember Pasach and to eat Matzos. Like many he believed himself no longer Jewish but assimilated. Isidor and Ida’s deaths was mourned. Many Jews had died on Titanic but their story was the most well known. Memorial services were held in many places, a park in their name opened three years later (Straus Park). There is a memorial plaque on the first floor of Macy’s in New York, a public school named after them, and Straus Hall at Harvard (a gift from his three sons). Walter Lord’s A Night To Remember first published in 1955 is enjoying record sales, print and e-versions. According to an AP report, 30,000 downloads of the e-edition were recorded by Open Road Integrated Media–the digital publisher. This is an excellent book. Check your local library to see if they have the old or newer editions of the book. It is worth reading and Lord’s excellent writing style does not disappoint. His book about Dunkirk is also highly praised. Worth a read if you come across it. Gerry Adams penned an op-ed piece in the Irish Echo about Titanic. Adams, of course, was one of those agitating against the British in Northern Ireland for many years. So it comes as no surprise, despite the peace accords, that he would take a whack at British dominated Ireland in 1912. Harland & Wolff did not hire many Catholics, some were expelled, beaten or even killed. He writes further of the bad conditions Catholics endured and the divisions festered by government and business owners. It is interesting that while Adams praises the promising jobs created by Titanic themed building in Belfast, he wants no one to forget the society that built it. He praises Titanic but rues the society that built it. Right after James Cameron’s movie came out there were people saying they wanted to build Titanic II. Nothing came of them, except lots of chatter on the Internet. Fast forward to 2012 and guess what? Some very rich guy who lives down under wants to build Titanic II. Oh and with Chinese help! It is his money, of course, so he is free to spend it as he wishes. However one wonders if it all just publicity stunt for something else. Whatever. Not holding my breath for tickets available for Titanic II in the near future.